Hope EveryBody Had Great New Year Day! 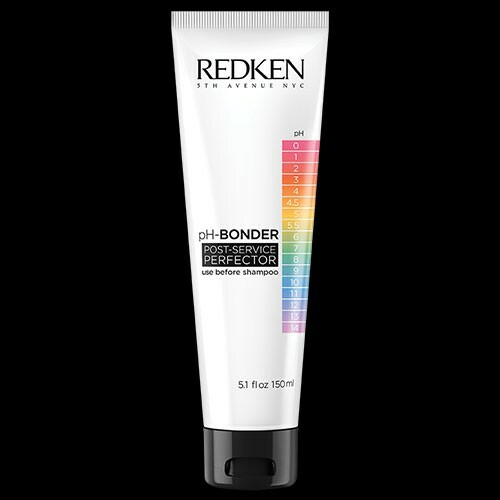 Redken pH-Bonder Post-Service Perfector helps maintain hair’s natural pH. This perfector further reinforces weak bonds in damaged hair while still delivering additional care and smoothness to help prevent future hair breakage. Apply pH-Bonder Post Service Perfector once a week. Before shampoo, apply on wet, towel-dried hair. Massage into hair from roots to ends. Leave on for at least 10 minutes. Rinse. Follow with shampoo and conditioner.